The search for ways to enhance performance and muscle growth through dietary manipulation is not new. Questions abound regarding the optimal amounts of protein, carbohydrate and fat needed to boost performance, while nutrition recommendations based on training goals are plentiful. A new twist on current science is a concentration on when, rather than just what, athletes should consume before, during and after a training session to optimize their performance and recovery. Sports nutrition articles emphasizing various phases of muscle growth and glycogen repletion have been popping up in the fitness literature. The hormonal responses to exercise and the dips and peaks of the anabolic players (insulin, testosterone and others) have become a hot topic in sports nutrition. John Ivy, PhD, and Robert Portman, PhD, described nutrient timing as the “future of sports nutrition” in their 2004 book Nutrient Timing (Ivy & Portman 2004). Other lay publications and online articles have tagged nutrient timing as evidence for the efficacy and sales of various supplements. While the leap to nutritional supplementation may be unnecessary, understanding when and what to eat around a training regimen holds merit. The science to support the concept of nutrient timing may not be novel, but the focus on when and what to eat may help to further educate bodybuilders, athletes and active individuals about the vital relationship of proper nutrition to performance and recovery. Simply put, nutrient timing means being mindful of when to eat, rather than just what to eat. Its premise is to support optimal performance during a training session, provide all that is needed for muscle growth, exploit glycogen replenishment after activity, and follow a diet that promotes growth and repair around the clock. Nutrient timing is based on data supporting variances in hormonal release throughout the day and in response to exercise (see “Endocrinology 101” on page 43). Ivy and Portman have divided the day into three phases to illustrate nutrient timing. The nutrient timing cycle begins with the workout: the energy phase. This phase is marked by the athlete’s need for sufficient energy to allow muscle contraction. Ivy and Portman emphasize the importance of nutrient delivery and of sparing carbohydrate and protein, limiting immune suppression, minimizing muscle damage and setting the stage for faster postworkout recovery. Glucose, derived from glycogen (its stored form in liver and muscle) or blood glucose, is an essential fuel source for activity. Reliance on glucose increases directly with training intensity (Wildman & Miller 2004). Glucose depletion is indicated by a decrease in time to fatigue during activity—much to an athlete’s dismay (Robergs & Roberts 1997). The need for carbohydrate ingestion during activity depends on the intensity, duration and type of exercise, in addition to the pre-exercise carbohydrate status and foods consumed, and the degree of training (Wildman & Miller 2004). Succinct recommendations for carbohydrate intake during the energy phase or during activity are difficult to nail down. The authors of Nutrient Timing encourage some carbohydrate ingestion, preferably of foods with a high glycemic index (see “Glossary of Terms” on page 45) in order to increase glucose uptake by the muscle and thus to increase muscle glycogen synthesis. Research supports the use of carbohydrate during activity, but the amount and form required are still foggy. Murray et al. evaluated the administration of carbohydrate beverages during intermittent cycling (1987). The results showed that the carbohydrate drinks produced performance improvements and higher plasma glucose levels, without differences among the types of carbohydrate administered (Murray et al. 1987). A scientific review by Jeukendrup concluded that performance benefits could be found when subjects ingested as little as 16 grams (g) of carbohydrate per hour—with the type consumed appearing to have little effect on the benefit (2004). Ingestion of protein during the energy phase may be advantageous when provided in addition to carbohydrate. Ivy et al. investigated the use of carbohydrate-protein supplementation during endurance activity (2003). Their findings revealed a benefit to including carbohydrate and protein, over just carbohydrate, at 20-minute intervals during 3 hours of cycling at varying intensities on three separate occasions. The differences could not be attributed to differences in insulin responses, however, leaving the researchers curious about the improvement in performance (Ivy et al. 2003). Irrefutable recommendations for ingesting protein during exercise remain elusive owing to lack of research. This “window of opportunity” phase is estimated as the 45 minutes following a training session or competition. The unique qualities of this phase include the body’s need to replete itself and its improved ability to do so. Ivy and Portman summarize the characteristics and goals of this phase as (1) a shift from catabolism to anabolism; (2) enhancement of muscle blood flow; (3) replenishment of glycogen stores; (4) repair and growth of tissue; and (5) reduction of muscle damage and bolstering of the immune system (2004). Immediately following exercise, a myriad of factors create an environment for glycogen repletion and muscle tissue growth and repair. Among these factors is the enhanced activity of anabolic hormones (see “Endocrinology 101”), including insulin, testosterone, growth hormone and insulin-like growth factor-1 (IGF-1). After exercise, the body is primed to replenish its glycogen stores, and protein repair and synthesis are required (Levenhagen et al. 2001). Insulin sensitivity is improved because of an increase in glucose transport into the cells via a specific glucose carrier (GLUT-4), and the activity of the enzyme glycogen synthase is increased to promote glycogen synthesis (Richter et al. 1982). Ingesting carbohydrate after exercise increases the amount and rate of glycogen storage (Zawadzki et al. 1992). A combination of protein and carbohydrate replenishes muscle glycogen more rapidly than does carbohydrate alone (Ivy et al. 2002). Levenhagen et al. showed that early postexercise ingestion of protein and carbohydrate not only replenished muscle glycogen but also enhanced accrual ofwhole-body and leg protein, suggesting an exercise-induced effect by insulin (2001). The rate of glycogen repletion may also be enhanced by increasing the carbohydrate content. Van Loon et al. administered carbohydrate to trained cyclists at 30-minute intervals following exercise; synthesis rate was faster in subjects who received 1.2 g per kilogram (kg) of body weight each half-hour than in those who received 0.8 g/kg (2000). In this same study of cyclists, van Loon et al. showed that a mixture of wheat hydrolysate, free leucine and phenylalanine with carbohydrate increased insulin response by 88% over carbohydrate only (2000). The increase in insulin sensitivity appears to be best exploited by feeding carbohydrate and protein at 2-hour intervals following activity (Ivy et al. 2002). It is unclear exactly how long the benefits persist, but Richter et al. found they were present after 4 hours (1982). The second objective in the anabolic phase is to create an environment conducive to muscle repair and growth. Chandler et al. provided experienced weightlifters with water, carbohydrate, or a carbohydrate and protein supplement immediately and 2 hours after a session (1994). The carbohydrate and protein supplement produced higher levels of insulin and growth hormone, creating a more favorable environment for growth. All three supplements blunted testosterone, however, and showed no difference in effect on IGF-1. For reasons not related to the increase in insulin (as with the aforementioned data), protein supplementation immediately following exercise also aids in muscle hypertrophy (Esmarck et al. 2001). Esmarck et al. provided elderly men with a protein supplement immediately or 2 hours following a weightlifting session; they showed significant muscle hypertrophy when supplementation was immediate, but not when it was given 2 hours later (2001). The growth phase can best be summed up as the remainder of the day after training. In the initial hours of this phase, the body is still in the postexercise mode. Because glycogen repletion perseveres, part of the goal during this phase is to exploit this process for as long as possible. In addition, enhancing muscle protein synthesis and muscle growth is important. MacDougall et al. determined that protein synthesis is elevated by 50% at 4 hours following resistance training, and by 109% at 24 hours, with a return to baseline at 36 hours (1995). In addition, further evidence supports consuming protein and carbohydrate prior to exercise to enhance postexercise protein synthesis (Tipton et al. 2001). Feeding muscle growth and repair, as well as maintaining optimal glycogen stores, is imperative during the growth phase. Achieving a positive nitrogen balance during this time by providing adequate protein will aid in muscle gains (Phillips 2004). If you can combine an understanding of when food should be consumed with a knowledge of what and how much to ingest, devising a successful nutrition program for your clients’ training can be easy! The following summary can help you educate clients (by training type)—beginning with the what and how much, and leading into the when. What and How Much to Eat. It is recommended that the endurance-trained athletic client (exercising 90+ minutes most days) should consume approximately 22–25 calories per pound (lb) of body weight (BW) every day, with carbohydrate intake being 3.0–4.0 g per lb of body weight (g/lb BW) daily (Kundrat 2005). For example, an active 140 lb athlete needs approximately 3,080–3,500 calories per day to maintain weight and 420–560 g of carbohydrate. Diets consistently high in carbohydrate—versus those high in fat—have been shown to delay time to exhaustion during exercise (Kleiner 2001). Stipulating how many g/lb BW of protein an athlete needs per day is difficult. An in-depth review of protein requirements for endurance athletes by Tarnopolsky recommends 0.5 g/lb BW to 0.7 g/lb BW—increasing with the level of training (2004). For instance, an endurance-trained 140 lb athlete needs 70–98 g of protein per day (e.g., a 3-ounce serving of lean meat, poultry or fish; an egg or a quarter cup egg substitute; a half cup cooked beans or lentils; and 2 tablespoons peanut butter—along with the recommended 6–11 servings of breads, cereals and pastas; 2–4 fruits; 3–5 vegetables; and 2–3 milk servings). When: Pre-Exercise. 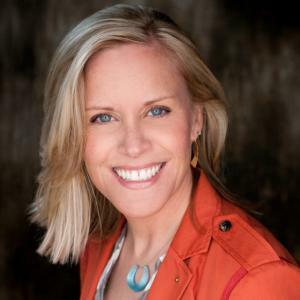 Susan Kundrat, MS, RD, LD, owner of Nutrition on the Move in Urbana, Illinois, and author of 101 Sports Nutrition Tips, recommends assessing what is best tolerated before a workout or competition and building the meal or snack around high-carbohydrate foods. At 3 hours prior to a competition or training session, 1.4 g/lb BW is the maximum level of carbohydrate, with 0.5 g/lb BW at 1 hour prior (Kundrat 2005). Planning a meal or snack before exercise is especially important, chiefly if exercising early in the morning. See “Pre- and Postexercise Snack Ideas for Combining Carbs and Protein,” below, for examples. When: During Activity. Based on the foregoing, as little as 16 grams of carbohydrate per hour appears to provide performance benefits (Jeukendrup 2004). Other sources recommend upward of 30–60 g per hour (Kundrat 2005). Therefore, an exact number of grams cannot be determined. Wildman and Miller contend that drinking 600–1,200 milliliters (ml) of a 6%–8% carbohydrate sports drink per hour will help maintain blood glucose during activity (2004). When: Postexercise. Refueling with carbohydrate after a workout is essential. An absolute recommendation is to consume at least 50 g of carbohydrate and 10–15 g of protein with fluid within 15–30 minutes after the session (Kundrat 2005). Relative to body weight, 0.5 g/lb BW of carbohydrate is recommended in the first 30 minutes postexercise and again every 2–3 hours thereafter (Wildman & Miller 2004). The combination of protein and carbohydrate can be found in a sports drink plus an energy bar; apple juice and a peanut butter sandwich; a milkshake; yogurt and juice; or 2 cups of corn flakes and 1 cup of low-fat milk. What and How Much. Bodybuilders are rightfully not shy about consuming calories. A range of 20–23 calories/lb BW per day is recommended for growth (Kleiner 2001). Kundrat advises all athletes working toward muscle growth to combine their workout with 3,000–4,000 extra calories per week when trying to maximize muscle growth. Whether the goal is to build muscle or enhance muscle definition, protein is important for the maintenance, repair and construction of muscle. However, contrary to popular practices, a diet extremely high in protein is not necessary. Recommendations for protein vary depending on the source and research. Kleiner advises approximately 0.6–0.8 g/lb BW of protein throughout the day (2001). For a 130 lb woman, this means 78–104 g of protein per day. For vegetarians, increasing that to 1.0 g/lb BW will help ensure that proper amounts of the essential amino acids are obtained (Kleiner 2001). Ivy and Portman recommend 0.9–1.25 g/lb BW of protein per day based on nitrogen balance data (see “Glossary of Terms,” below), despite criticisms regarding the accuracy of using this method for determining daily protein needs (Phillips 2004). A review by Phillips points out that the average reported protein intake among strength athletes is 0.94 g/lb BW, indicating that athletes are meeting their needs. Carbohydrates (70% of total calories) are especially important to those performing challenging resistance training workouts. When: Pre-Exercise. The pre-exercise meal for a resistance training exerciser should include carbohydrate and protein (approximately 50 g carbs and 14 g protein) 11/2–2 hours before training (Kleiner 2001). Athletes might try a pita pocket with hummus or a bagel with low-fat cream cheese and some dried fruit. A sports drink just before the workout can provide the extra stamina required to “push” that weight (Kleiner 2001). When: During Activity. 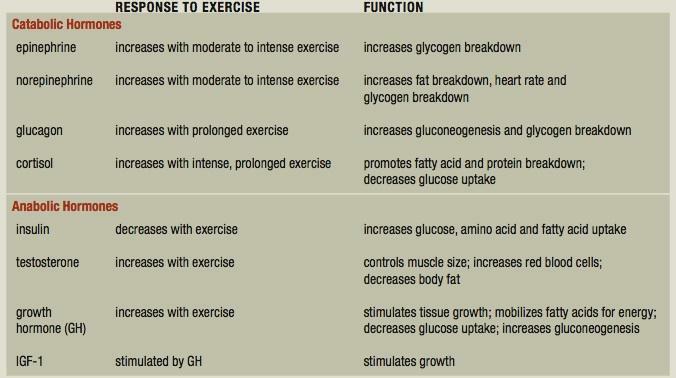 Carbohydrate ingestion during a heavy resistance workout can help sustain muscle glycogen levels (Haff et al. 2003). Haff et al. investigated the effects of carbohydrate ingestion during resistance training, and although muscle glycogen concentration was protected, no improvements in performance were noted (Haff et al. 2000). The amount of carbohydrate to consume during resistance training has not been defined; however, as mentioned previously, drinking 600–1,200 ml of a 6%–8% carbohydrate sports drink per hour can be beneficial (Wildman & Miller 2004). However, bodybuilders should be careful not to overconsume calories if weight is a concern (Kleiner 2001). To date, there is little evidence that protein ingestion during a workout offers an athletic edge. Recommendations still lean toward the importance of ingesting protein postexercise for anabolism and repair. When: Postexercise. Immediately following a workout, carbohydrates and protein need to be consumed to replenish depleted carbohydrate stores and help with muscle repair. Postexercise recommendations are similar to those for the endurance-trained athlete. Glycogen needs to be replenished, and carbohydrate combined with protein is the most effective choice. Although nutrient timing appears best suited for competitive athletes, its strategies can benefit everyday exercisers as well. Proper fuel stores (carbohydrate and protein) can enhance any workout, and the anabolic characteristics of the postexercise phase hold true for dedicated step, indoor cycling and boot camp enthusiasts alike. Advising clients to consume a balanced snack 2–3 hours prior to exercise and to consume a carbohydrate- and protein-containing snack or meal following the session helps them advance their workout, enhance their glycogen stores and recover successfully. As suggested by Kleiner, calories may be unnecessary during the workout if weight loss or maintenance is the objective (2001). Eating a balanced, varied diet with adequate protein and carbohydrate will enhance training sessions and workouts; and taking advantage of the hormonal milieu of anabolic players following activity will promote recovery and improve muscle integrity. As with previous sports nutrition recommendations, the take-home message is that the active body benefits from proper nutrition. Before engaging in conversation about eating in response to the ebb and flow of hormones, it is helpful to understand the hormonal players and their response to exercise. The following chart—adapted from Robergs and Roberts’ Exercise Physiology, Exercise, Performance, and Clinical Applications (William C. Brown 1997) and McArdle, Katch & Katch’s Exercise Physiology: Energy, Nutrition, and Human Performance (Lippincott Williams & Wilkins 2001)—provides a list of hormones and their major functional responses to exercise. Haff, G.G., et al. 2000. Carbohydrate supplementation attenuates muscle glycogen loss during acute bouts of resistance exercise. International Journal of Sport Nutrition and Exercise Metabolism, 10 (3), 326–39. Ivy, J. & Portman, R. 2004. Nutrient Timing: The Future of Sports Nutrition. North Bergen, NJ: Basic Health Publications Inc.
Ivy, J.L., et al. 2002. Early postexercise muscle glycogen recovery is enhanced with a carbohydrate-protein supplement. Journal of Applied Physiology, 93, 1337–44. Ivy, J.L., et al. 2003. Effect of a carbohydrate-protein supplement on endurance performance during exercise of varying intensity. International Journal of Sport Nutrition and Exercise Metabolism, 13 (3), 382–95. Jeukendrup, A.E. 2004. Carbohydrate intake during exercise and performance. Nutrition, 20, 669–77. Kleiner, S.M. 2001. Power Eating (2nd ed.). Champaign, IL: Human Kinetics. Kundrat, S. 2005. 101 Sports Nutrition Tips. Monterey, CA: Coaches Choice. MacDougall, J.D., et al. 1995. The time course for elevated muscle protein synthesis following resistance exercise. Canadian Journal of Applied Physiology, 20 (4), 480–86. McArdle, W.D., Katch, F.I., & Katch, V.L. 2001. Exercise Physiology (5th ed.). Baltimore: Lippincott Williams & Wilkins. Murray, R., et al. 1987. The effect of fluid and carbohydrate feedings during intermittent cycling exercise. Medicine & Science in Sports & Exercise, 19 (6), 597–604. Phillips, S.M. 2004. Protein requirements and supplementation in strength sports. Nutrition, 20, 689–95. Richter, E.A., et al. 1982. Muscle glucose metabolism following exercise in the rat. Journal of Clinical Investigations, 69, 785–93. Robergs, R.A., & Roberts, S.O. 1997. Exercise Physiology: Exercise, Performance, and Clinical Applications. Dubuque, IA: William C. Brown Publishers. Tarnopolsky, M. 2004. Protein requirements for endurance athletes. Nutrition, 20, 662–68. Van Loon, L.J.C., et al. 2000. Maximizing postexercise muscle glycogen synthesis: Carbohydrate supplementation and the application of amino acid or protein hydrolysate mixtures. American Journal of Clinical Nutrition, 72, 106–11. Wildman, R., & Miller, B. 2004. Sports and Fitness Nutrition. Belmont, CA: Wadsworth/Thomson. Zawadzki, K.M., et al. 1992. Carbohydrate-protein complex increases the rate of muscle glycogen storage after exercise. Journal of Applied Physiology, 72 (5), 1854–59.